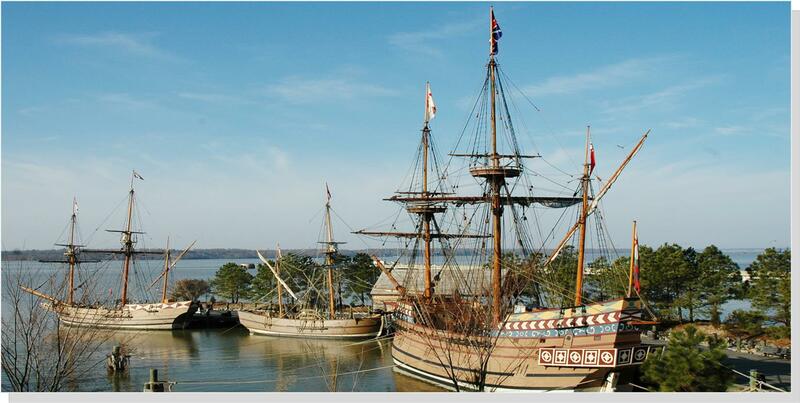 Jamestown Settlement, established May 1607, was the first permanent English settlement in the Americas . The ships pictured are reproductions of the original fleet Godspeed, Susan Constant, Discovery, all under the leadership of Captain Christopher Newport. 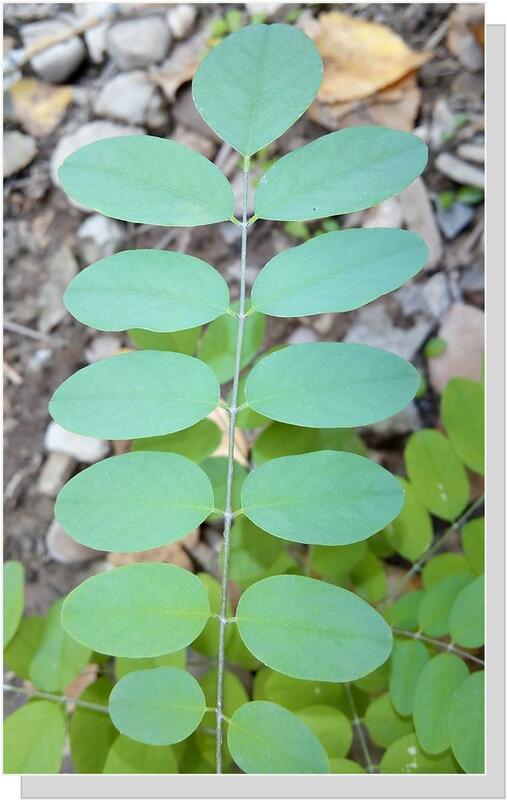 It was the local Powhatan Indians who taught the settlers the value of the Black Locust Tree. Native Americans and colonial settlers alike valued a common tree that grows in Annandale and across Virginia. The black locust tree is one of the few trees exported from the mountains to the Virginia coastal plain by early Native Americans for domestic use and cultivation. The natives used the strong but pliable wood to make their bows (unless they could find or trade for the ultimate bow-making wood from the Osage orange tree). We know from writings by William Byrd II, 1730 that: “The locust tree is a very straight, tall rather thick tree whose wood is the toughest in all the world, and almost cannot be broken; thus the Indians usually make all their bows from it”. 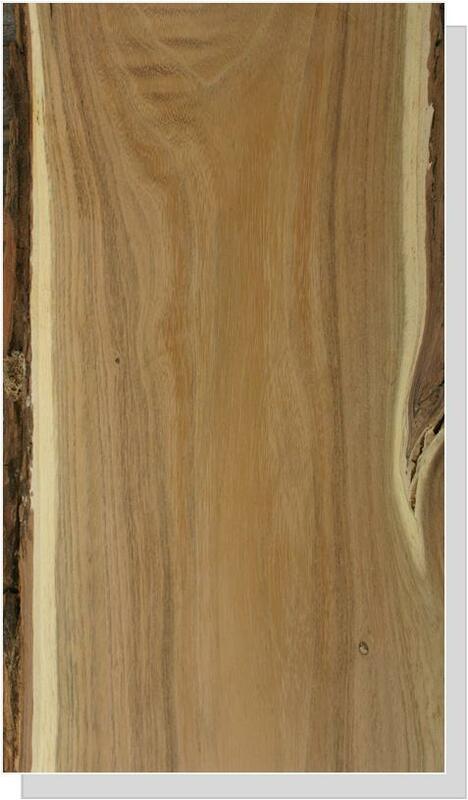 The wood has been prized for furniture, paneling, flooring, fence posts, and small boats. It has also been regularly planted for firewood as it so quickly grows back—even faster from its stump after felling by using the existing root system. As seasoned firewood it is especially valued since it burns slowly, with little smoke and a very high heat content. It will even burn when wet! Black locust’s extremes are also what attracted the first European settlers in Virginia to this unique tree. The wood is as hard as diamonds and never rots; that’s why Jamestown, Virginia was built upon it. The early American author Mark Catesby who visited the original Jamestown settlement 100 years after its founding referred to its durability stating, “…they erected each of their little hovels on four only of these trees, pitched in the ground to support the four corners; many of these posts are yet standing, and not only the parts underground, but likewise those above, still perfectly sound”. Looking to colonial Williamsburg gardens, black locust was used as the preferred wood for 100+ year fence posts. 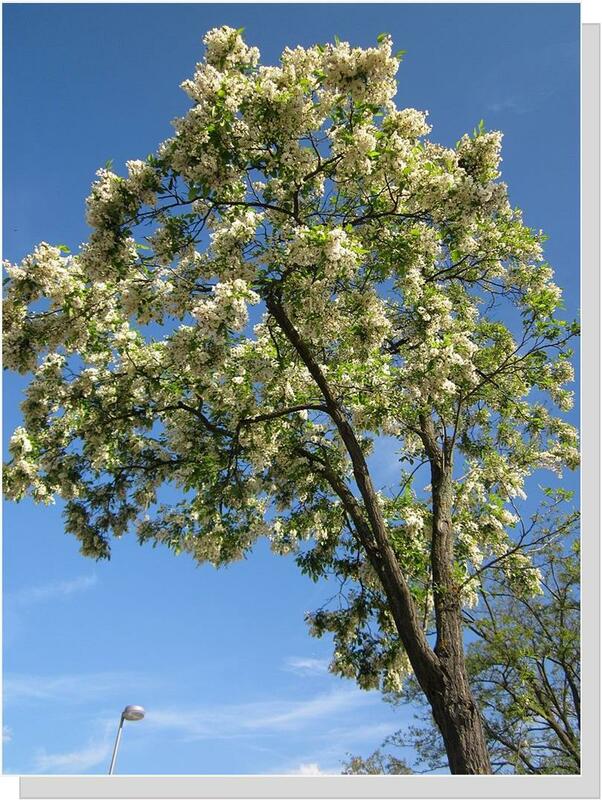 The black locust (Robinia pseudoacacia) is a medium-sized deciduous tree native to the southeastern United States but due to extensive replanting and cultivation across 48 US states and Canada, its exact native range is not fully understood. This tree reaches fairly straight heights of 40-100 feet and diameters of 2–4 feet, with some giants growing to 170 feet tall and over 5 feet wide! Their beautiful rich, green-blue compound leaves with contrasting lighter undersides fold in wet weather and evenings, and turn pale yellow in autumn before falling earlier than leaves from most trees. The bark is dark grayish brown with distinctive deep ridges and undulating, crossing grooves that run up and down the trunk. The tree is a member of the pea family, so it can “fix” nitrogen, meaning it self-fertilizes by converting nitrogen from the air into a usable nutrient, enabling it to grow well in nutrient-deficient soils. And to protect itself, it grows spikes (prickles) that stay on the tender (vulnerable) bark until more durable, thicker bark forms. The wood is a pale yellowish, tight-grained variety upon which I’ve dulled many a chainsaw and bent too many nails to count. 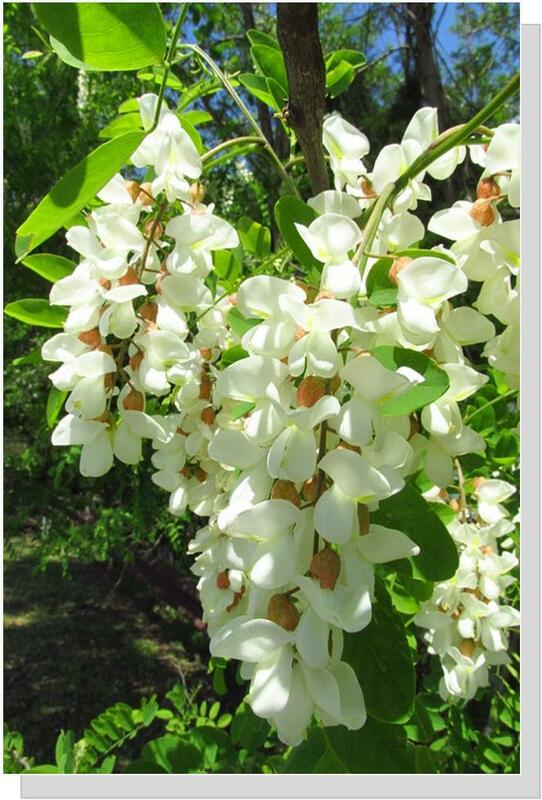 In May to early June, black locust’s creamy-white flowers with hints of pale yellow appear in big, intensely “orangey” fragrant, droopy clusters ranging from 4 to 8-inch. In a word, wow! And no matter where, it attracts all sorts of bees and pollinators, making it a major honey-producing plant. 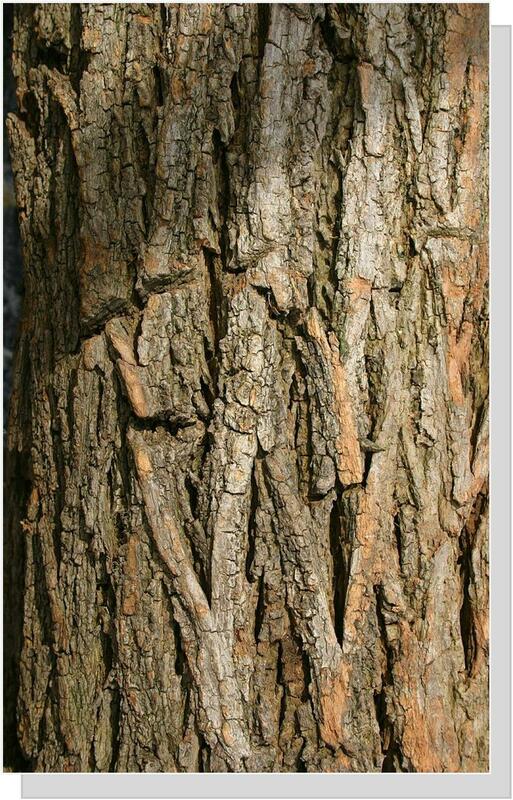 Black locust now has the widest worldwide distribution of any North American tree due to its prolific seeing habit. In 1892, the first director of Harvard’s Arnold Arboretum, Charles Sprague Sargent, wrote in The Silva of North America, "“No other North American tree has been so generally planted for timber and ornament in the United States and Europe; and no inhabitant of the American forest has been the subject of so voluminous a literature." On one more historical note according to Wesley Greene, of the Colonial Williamsburg Foundation: One of the reasons for the British Navy's defeat at the battle fought on Lake Champlain (Sept. 11, 1814 in the War of 1812) was that English ships were built with oak nails (the large pins or trunnels that hold the wooden members of a ship together), while American ships were built with locust nails. As a result, when the cannonballs from the American fleet hit the British ships, those ships came apart. But when the shot from the British ships hit the American fleet, their ships held together — and that is the reason they lost the Battle of Plattsburg Bay and stopped the British invasion. Following the war, in 1820, the Philadelphia market alone was exporting between 50,000 and 100,000 locust nails to England per year. So it’s time for us to salute a true champion tree from Virginia that Native Americans and those who followed have honored for centuries. 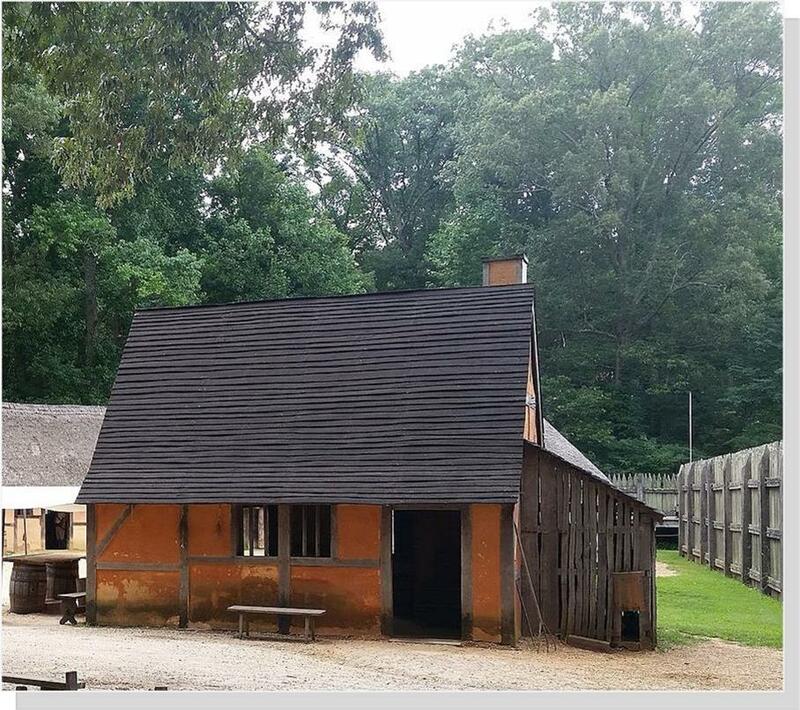 Photographs and information partially from Wikipedia, Jamestown Settlement Foundation, and the Colonial Williamsburg Foundation. Pictures are from Wikipedia, the Library of Congress, Private Collections, Jamestown Settlement Foundation, and the Colonial Williamsburg Foundation, with right of use reserved.